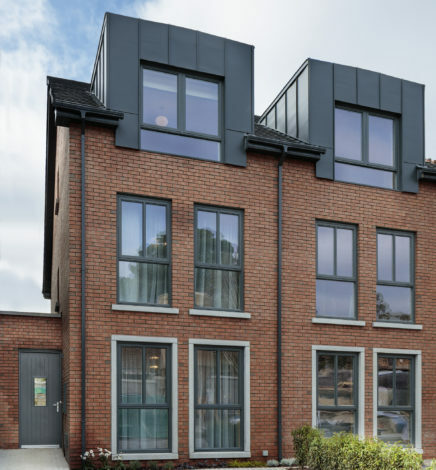 Oppermann Associates were appointed by Coliemore Homes to design and detail a Residential Development off Rochestown Avenue in Glenageary, Co. Dublin. 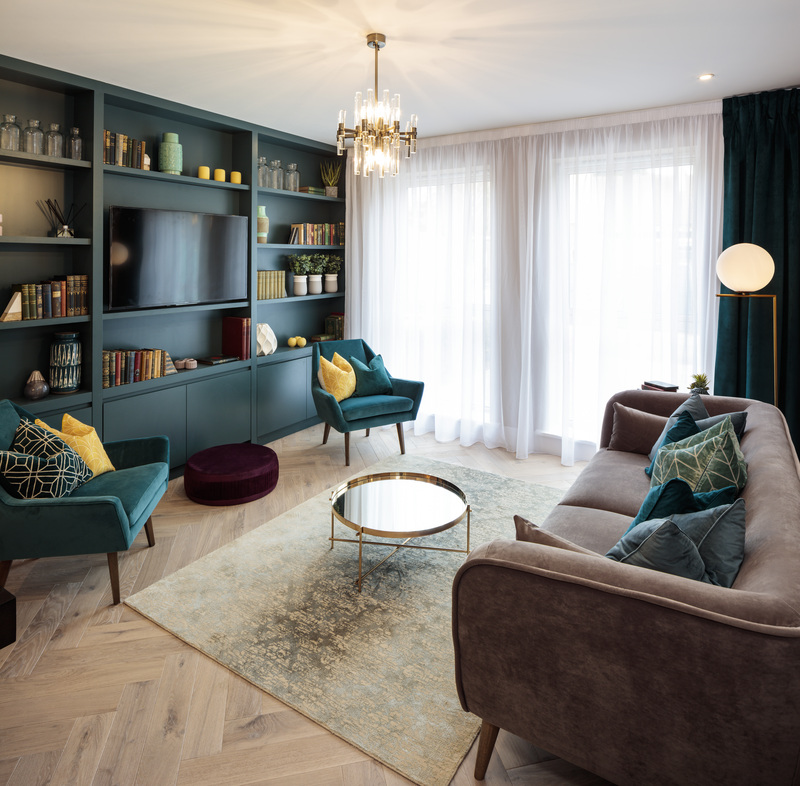 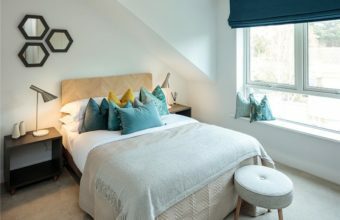 This project, named Auburn Green because of its location behind Auburn Road, consists of 10 three-bed-plus-study houses, each with 1,550 sq ft of living space across three floors, one five-bed detached property measuring 2,348 sq ft, and three two-bed, 958-sq ft apartments. 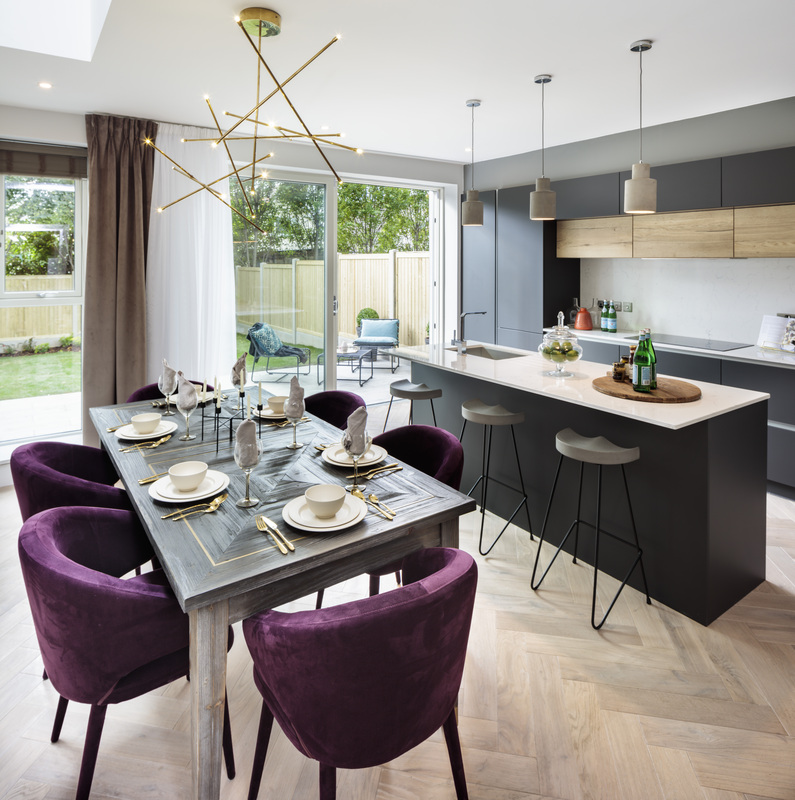 The layout takes cues from traditional Dublin redbrick terraces, and vehicles and pedestrians share a ‘Home Zone’ to the front with a landscaped open space. The houses have a clay brick exterior finish, with a paved front driveway. 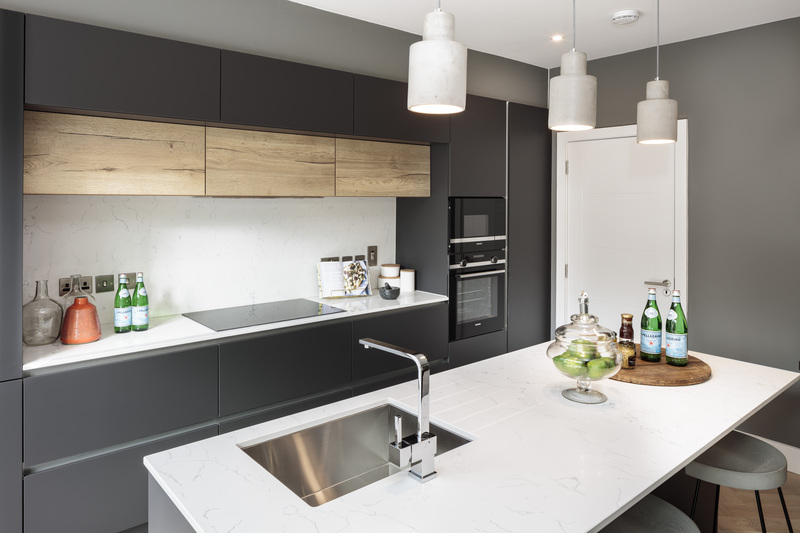 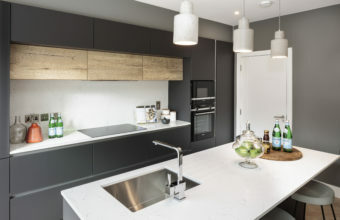 Inside the fitted kitchen features a handleless design with hard-coat graphite doors and quartz worktops and benefits from a large frameless skylight and generous glazing to the rear. 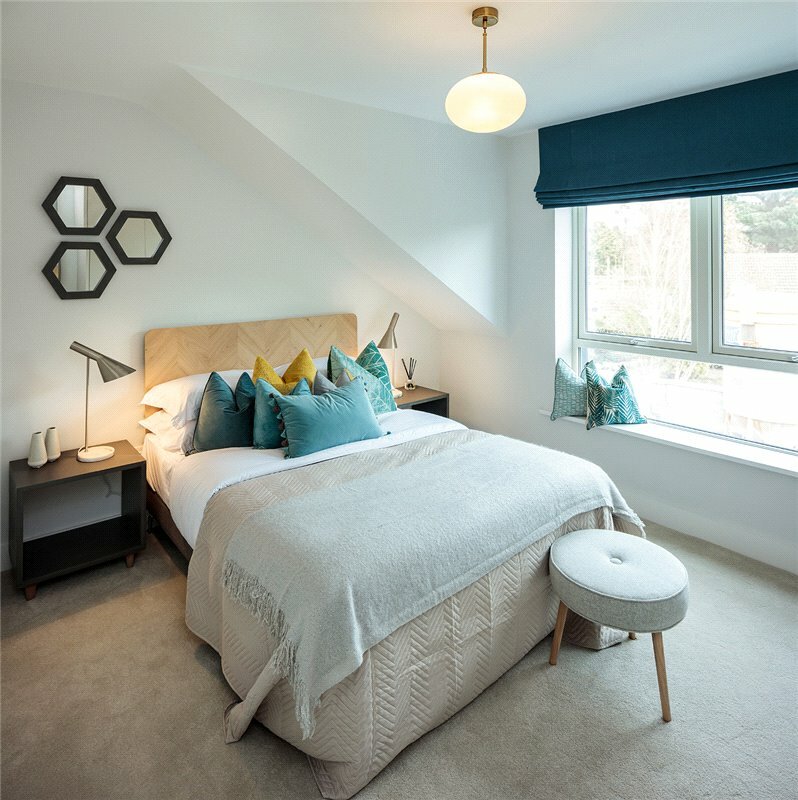 The houses are A3-rated, while the apartments, using innovative Exhaust Air Heat Pumps, are A2-rated. 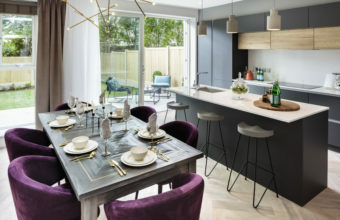 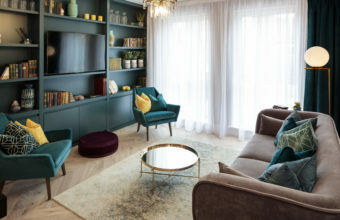 Coliemore Homes launched their first showhouse in November 2018 and the remaining houses / apartments are expected to complete in September 2019.